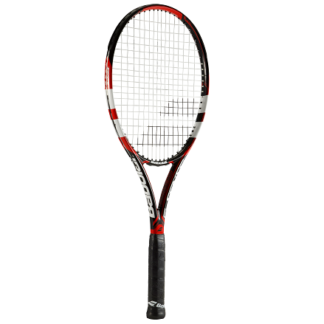 WTA tour pro Sabine Lisicki has recently set two records with this frame. 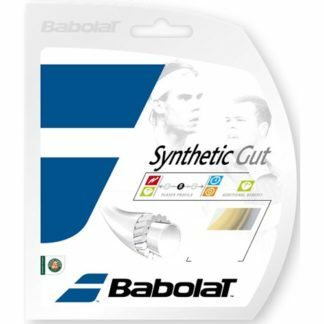 In 2014, she broke the record for fastest serve ever recorded on the WTA tour. 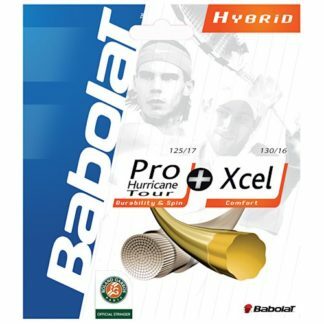 Then in 2015, she broke the record for most aces served in WTA match (27). The VCORE Tour F 97 was selected as the racquet with the best high-performance frame in Tennis Magazine’s 2015 Racquet Guide. 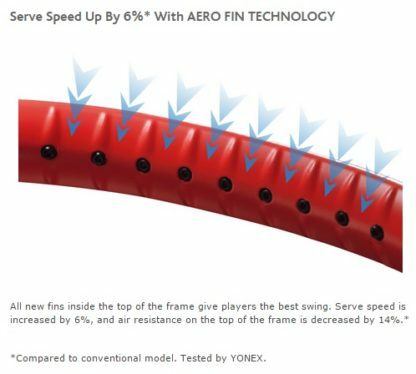 Featuring new Aero Fin Technology—a unique frame construction that equips fins at the frame head—YONEX’s latest racquet increases serve speed by 6%. 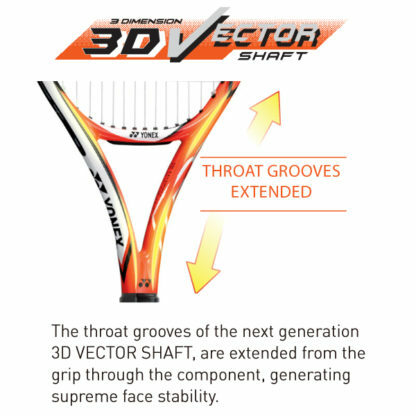 Enter the VCORE Tour F—the next evolution in the VCORE series. 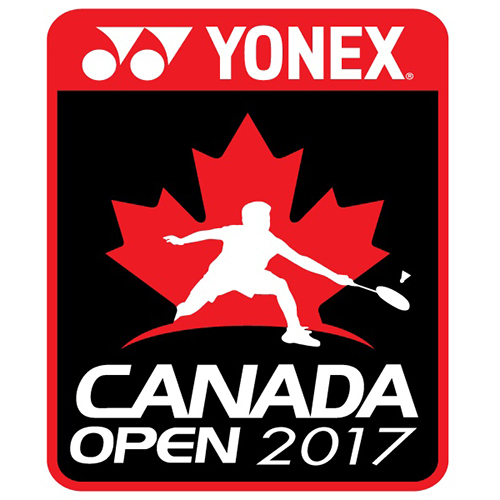 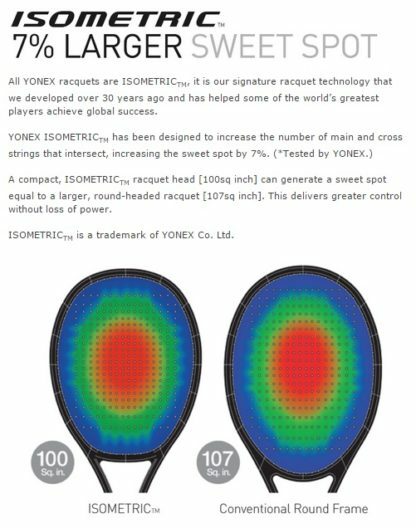 Experience YONEX’s newest innovation in tennis, and quickly dominate points with huge serves and crushing shots. 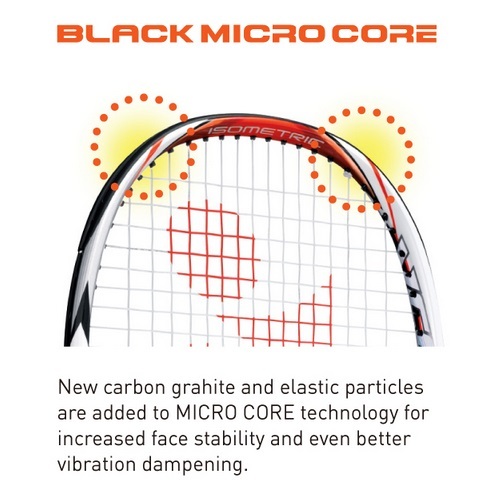 In addition, a new 16 x 21 string pattern offers improved power and better control. 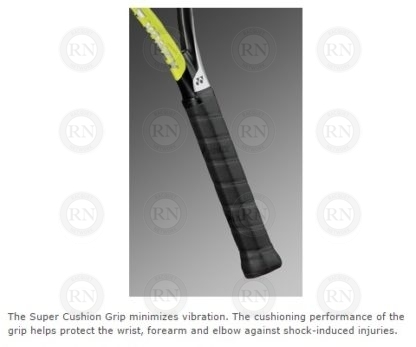 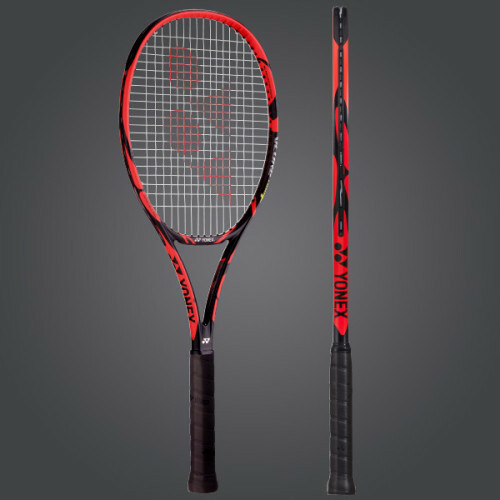 This is a fantastic tennis racquet that has a lot of control but can still generate a lot of power. The aerodynamic racquet truly increases your serve speed . I would really recommend this racquet to people that like to place the ball in all 4 corners of the court.